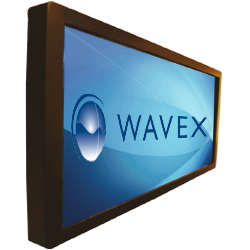 Wavex Touch Integrated Touch Displays represent the latest advances in direct-view LCD technology. It combines ultra-high resolution and unparalleled image quality with configurable I/O in a large format for a wide range of digital signage and control-room applications. These systems are designed for quick integration into kiosks, digital signage and other custom applications. Typically, they include small to large control rooms for traffic control purposes to more complex transport and software applications for high end scientific and technological missions. If you are in corporate or education or retail spaces and already have invested in displays, which are passive, we will be able to help you to convert them in touch interactive display for you to use them more effective and get better ROI from your displays. 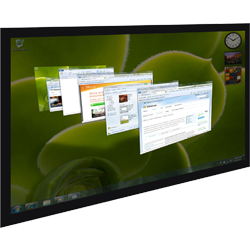 32 inch to152 inch; plasma, LCD/LED, we can transform every kind of display into touch interactive display and number of touch (2 touch – 40 touch) as per the application you would like to run on the same. And we also can give it in Red, Blue, Yellow and green, to suit your style. 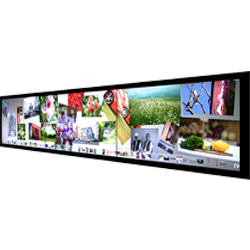 Are you buying a video wall for a specific requirement and want it to be interactive, talk to us and we will be able to offer you, Bespoke touch interactive solutions from WavexTouch, which are specifically customized for the Video wall. For rear projection displays, we customize the pedestal, which will support the overlay, so that it can be moved easily for maintenance. Bespoke touch interactive solutions are offered in different colors and also wood finishes to suit, the spaces for Video walls installation. Bespoke offering starts from1x2 display wall upto 3X7 display wall for Mitsubishi, Barco, Delta, Planar, Vtron, Christie, Eyevis and other for rear projections and all the brands of LED displays.